BC and Alberta business that take advantage of Office 365 have access to a great collaboration tool, Skype for Business. Users can call, chat and video conference other Skype users, both within their own organization and with other companies that are also using Skype. There are times, though, that we require Skype for Business PSTN Calling. The scenario often arises where we need to go outside Skype and call, chat or set up a meeting with colleagues or clients using the PSTN (the Public Switched Telephone Network). Or, even if our whole organization is on Skype, participants may need to call in to a conference from an outside number. To do that within Skype, you’ll need the more expensive Office 365 E5 license, which adds optional PSTN access to Skype for Business. There is, however, another way Office 365 “Business Essentials” and “E3” license users can connect with the PSTN: by integrating Kandy’s Unified Communication service, delivered in BC and Alberta by Skyway West. The RTC client for Skype for Business blends together the best of Microsoft Skype’s IM, Presence and Directory Access with the reliability and scale of Kandy Business’ voice, video and collaboration solutions. Kandy Business delivers the Unified Communication (UC) services knowledge workers expect along with the traditional telephony features task workers need. 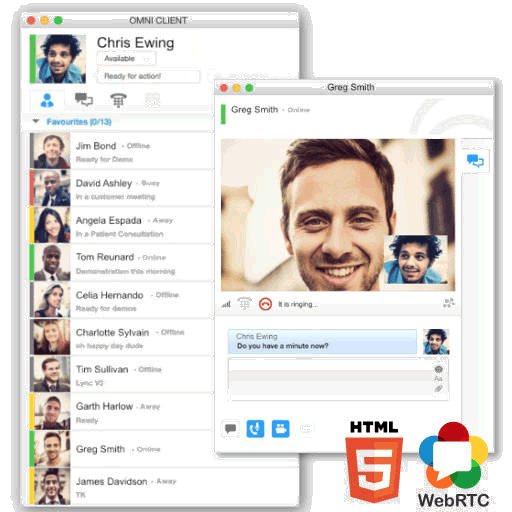 Better yet, the clients are built on GENBAND’s new Omni client technology that uses an HTML5 client core with platform-specific WebRTC-based agents. Omni clients look like a rich application to the user but deploy like a web client for the IT professional. Chris Miles is a Cloud Consultant with a Skyway West, a Western Canadian ISP that delivers Internet Access, Unified Communications and a Software Defined Network service to BC and Alberta business. Chris can be reached anytime at cmiles@SkywayWest.com or 604-484-5257 (toll free 1-877-771-1077 x 7008).